WSDBA Food Drive Delivery day @ Hinman Elementary School. Thank you Mikel Conrad, Steve McCrillis and Anthony John Molloy for the muscle and dedication. Thank you to all of the WSDBA members and City of Henderson Team for the donations. You have helped a lot of hungry kids. On March 3, 2016, the Water St. District Business Association set up a donation drive and donated blood to the Red Cross. 19 Pints were collected which was a big plus to the estimated 15 pints; because so many people came out, they ended up having to turn people away. Cookies were purchase from Chef Flemings; one dozen Danishes and a dozen Cookies, were given to donors…all were enjoyed! Shout out to the City of Henderson employees especially Tiffany Reardon and Anthony Molloy for all of their help in recruiting donors. We also want to thank the American Red Cross Blood Mobile for their partnership and involvement in the event. An additional blood drive is in the planning for October. From September 1 through September 30, 2015 the Water St. District Business Association conducted a food drive, partnering with Serving Our Kids Foundation. Presenting the WSDBA $500 donation to the 2015 Blue Star Mothers of Henderson & Boulder City NV4 for their annual “Stockings 4 Our Troops”. Stocking Stuffer. 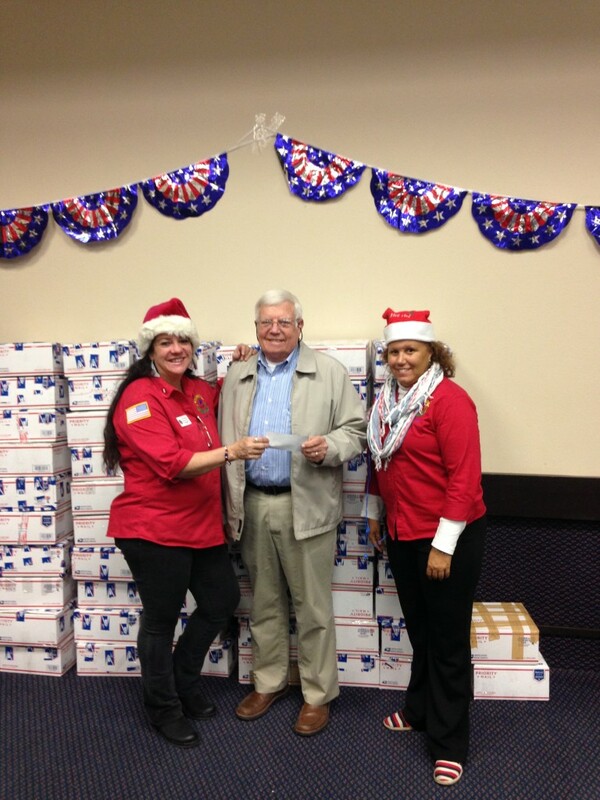 The WSDBA donation will help pay postage to send over 1500 stockings to our active service personnel throughout the world. August 18th, 2014 The Water Street District Business Association was proud to deliver food to the kids at 3 schools Hinman, Gordon McCaw and CT Sewell schools.